One time registration to use all our pump locators and our free mobile Drivers Club app! Now you will always find a pump near your location, either online or via the app. Use the same login details for both. 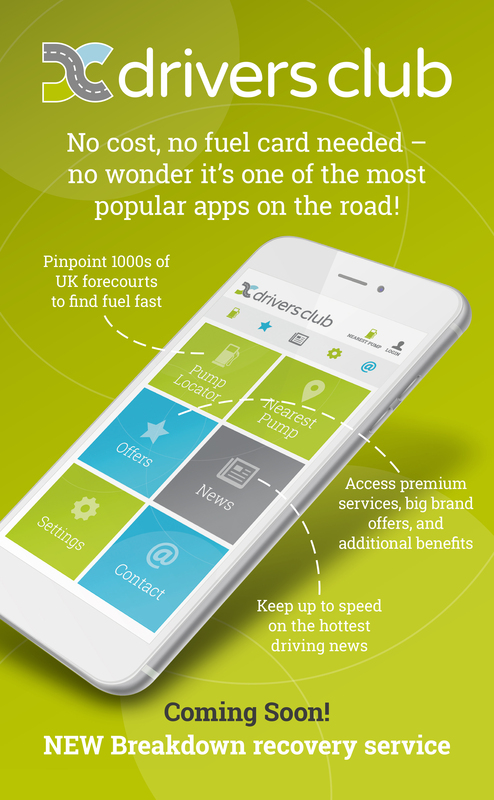 No Cost, no fuel card needed - no wonder it's one of the most popular apps on the road! Select Title... Mr. Mrs. Ms. Miss. Dr.